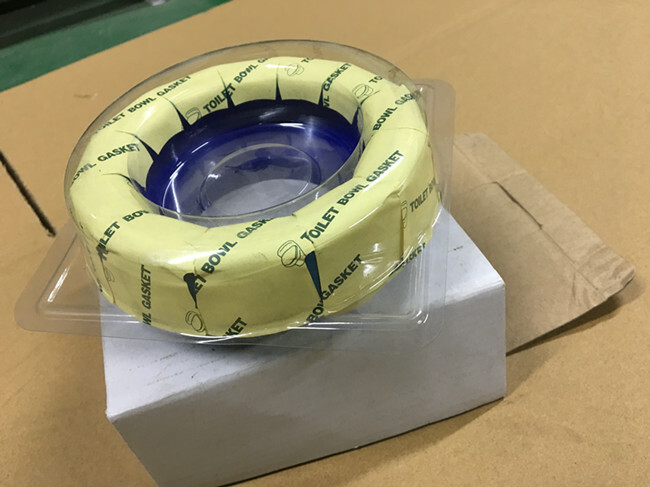 Toilet sealing ring flange ring blue rubber flanges anti-odor leakproof seal ring. 1. Anti-leak, anti-odor and anti-bacterial. 2. Good sealing performance and long service life. Suitable for siphon and flush type toilet seat. 1. Place the anchor bolts on the flanges of the floor drain and fasten the bolts with a quick washer. 2. 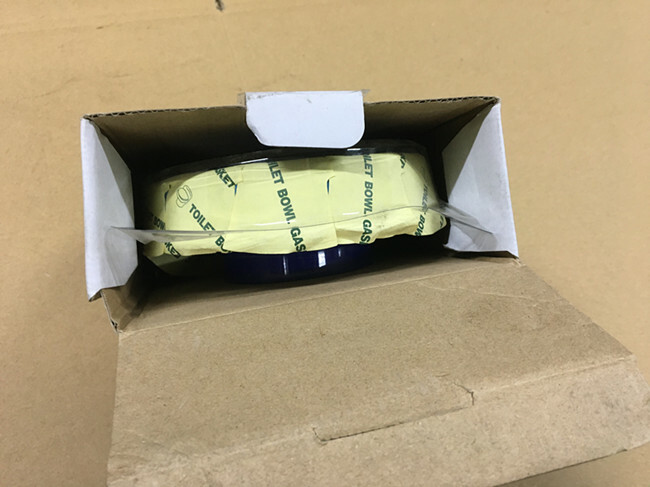 Remove all the packing materials of the seat urinator, and point the larger end of the inner hole of the sealed cement paste to the center of the toilet outlet, and press it tightly. 3. 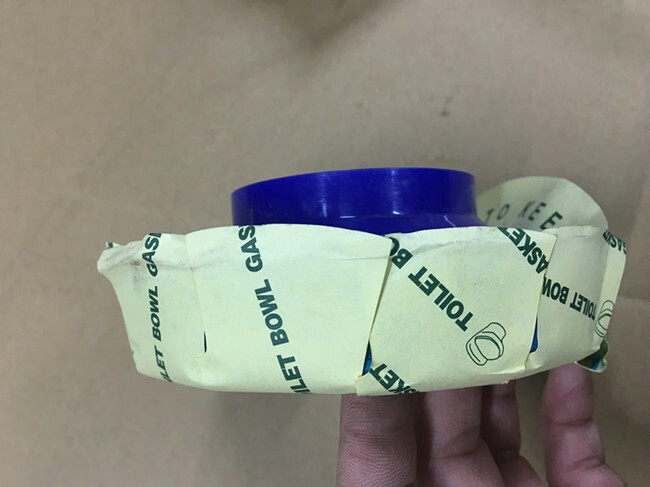 Aim the toilet center of the toilet seat at the center of the sewage pipe, place the toilet seat flat and press down, and confirm that the two parts are completely sealed. 4. Screw the nut into the anchor bolt to fix the toilet seat. 5. Finally put the cap on the floor. Name: Blue cement seal ring. 1. Anti-odor and leakproof: the rubber material is not easy to change, and it is tightly sealed with the toilet bowl to prevent stink and leakage. 2. 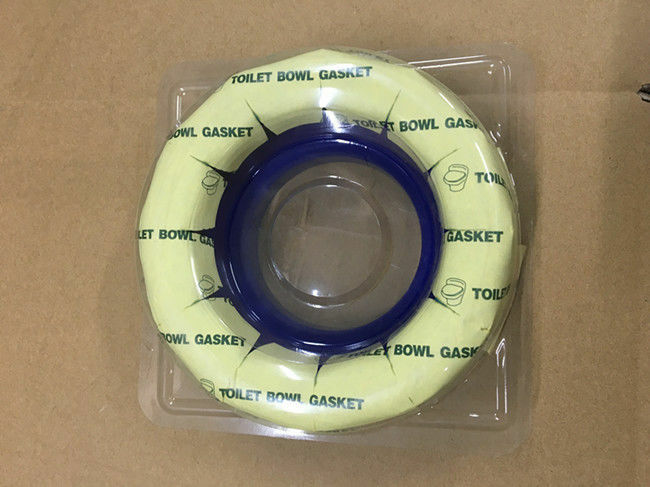 Easy to disassemble: with self-adhesive ability, without the assistance of glass glue, it can connect directly with the toilet and drain. 3. Corrosion resistance: new technology to effectively prevent water seepage and avoid corrosion. 4. Round cymbals: designed round cymbals according to the toilet drain, sealed well, adapted to iron pipes and present PVC pipes. 5. Strong adaptability: there are no cracks or powders in the northern and southern temperature differences. 6. Strong stickiness: strong self-adhesive, combined with toilet drain outlet and drain pipe seal.